This article is a departure from the above. It is legal in nature, written for lawyers. I will demonstrate which arguments counsel should now advance during trial. When preparing for cases, the lawyer will typically dust down the blunt tools of Equity & Trusts, Contract, Tort and Criminal. The next stage will involve trawling legal search engines for similar cases seeking out precedents. By reading a few lead judgements, the key factors can be identified and, by analogy, applied to their case at hand. Not that a lawyer would ever confess to this. This simplistic approach is dangerous in the 2018, MiFID II world. Why? Because, simply put, the changes MiFID II has brought are all-encompassing; having only achieved legal force in January 2018, no case law yet exists. Lawyers need to go back to basics and read the EU regulations and directives as well as Member States’ transposition of the latter into domestic law. The last decade has ushered in an unprecedented era of financial regulatory reform. In Europe, this is personified, by the implementation of the gargantuan MiFID II package of financial legislation. MiFID II gained legal force on 3 Jan 2018 and represents a fundamental recasting of the European Union’s body of law that governs the provision of financial services and related activities. Furthermore, MAR, EMIR and SFTR have all come into force within the last five years. This means that, almost without exception, legal guides and books on financial law are out of date and often inaccurate. In this article I will re-examine Intesa Sanpaolo SPA v Regione Piemonte  in the High Court in the light of MiFID II. This is a good case as it draws out common areas of litigation: product misselling, attempts to impose fiduciary duties, misrepresentation and voidability of contracts. I will demonstrate how litigators now have more direct approaches for remedy rather than having to resort to the blunt tools of generic Private Law (contract, property, tort and equity). So said Hudson in 2013. This statement is no longer correct. Large swathes of what was formally best-practise and regulatory handbook rules have now been placed on a direct statutory footing. The FCA’s Conduct of Business Sourcebook (“COBS”) used to be a melange of statutory obligation (emanating principally from FSMA 2000) and its own regulatory rules. In large parts, the COBS now represents Statute – often direct lifts of EU MiFID II legislation. Violating large parts of the FCA’s COBS is no longer merely violating their Code of Business Sourcebook – which, while grave, is not in of itself decisive – it is violating the law itself. Courts will need to dissect which parts of the COBS are implementation of EU legal instruments and which are merely best practise. An analogy can be made with the development of aviation law to deal with aviators flying while under the influence of alcohol. Before 2003, prosecuting an aviator who had too much to drink was more arduous as one would need to resort to legislation that was generic in nature. The Health and Safety at Work etc Act 1974 and Management of Health and Safety at Work Regulations 1999 only placed a generic duty on employers to ensure a safe working environment for workers including safety issues related alcohol in the workplace. To make out a tort of negligence would equally be difficult. In 1990, in Morris V Murray the Court of Appeal was obliged to consider volenti non fit injuria and contributory negligence arguments, unable to benefit from any direct legislation prohibiting drunk pilots from flying. But with the enactment of The Railways and Transport Safety Act 2003 it became a criminal offence if a person “performs an aviation function at a time when the proportion of alcohol in his breath, blood or urine exceeds the prescribed limit” – irrespective of consequences or lack of harm caused. This analogy applies to financial regulation. Background: In 2006, an Italian municipality entered into a series of derivative contracts with The Banks which, under Italian law, it later self-voided due to the Banks “disgraceful conduct”. Piemonte municipality alleged the derivative contracts did nothing in achieving their desired objects. The Banks litigated and litigation was transferred to England, per the standard ISDA provisions. The trial judge provided declaratory relief for The Banks and Piemonte subsequently appealed to the High Court. Piemonte then appealed to the Court of Appeal which upheld the initial ruling. The transactions were invalid because Piemonte was not a “qualified investor”. The judge dismissed all points. Leaving aside Piemonte’s deficiencies in following procedural law, had this case been heard now under the MiFID II legal regime, Piemonte would have enjoyed a favourable decision. It is not difficult to understand why Piemonte’s counsel was at pains to artificially impose a fiduciary responsibility on The Banks. Without doing so, The Banks would have no duty of care towards Piemonte. It would not be The Banks’ responsibility to analyse and assess whether a particular financial product was suitable or appropriate or whether the costs or performance was one that was likely to result in a satisfactory outcome. Only a finding of fraud would be of aid in this regard. The High Court denied counsel’s attempts to impose a fiduciary responsibility on The Banks effectively dismissing their case. Under MiFID II they do not require such blunt instruments. The Banks now have legal requirements to clients regarding Investment Advice; Manufacturing; and Distribution of Financial Products. When providing investment advice…the investment firm shall obtain the necessary information regarding the client’s or potential client’s knowledge and experience in the investment field relevant to the specific type of product or service, that person’s financial situation including his ability to bear losses, and his investment objectives including his risk tolerance so as to enable the investment firm to recommend to the client or potential client the investment services and financial instruments that are suitable for him and, in particular, are in accordance with his risk tolerance and ability to bear losses. This key-word packed paragraph from the Level I legislation is further specified in the Level II 25.4.2016 Delegated Regulation, Articles 54-58. Investment firms shall provide a description of the types of financial instruments considered, the range of financial instruments and providers analysed per each type of instrument according to the scope of the service, and, when providing independent advice, how the service provided satisfies the conditions for the provision of investment advice on an independent basis and the factors taken into consideration in the selection process used by the investment firm to recommend financial instruments, such as risks, costs and complexity of the financial instruments. Thereafter they made various presentations of proposed strategies in respect of the Bond Issue: e.g. an extensive paper on 11 January 2006 putting forward a financing strategy and the reasons for it. This ended with a disclaimer that the Banks were acting as counterparties and not advisers or trustees (although the body of the paper said that the banks participated in the placement by supporting Piedmont and not as counterparties). personal recommendation shall be considered a recommendation that is made to a person in his capacity as an investor or potential investor, or in his capacity as an agent for an investor or potential investor. instrument to buy, sell, subscribe for, exchange, or redeem a financial instrument. Further, Dexia was involved in ‘the preparation of Euro Medium Term Notes Programmes’. Therefore they would be ‘manufacturers’ and/or “distributors” of financial instruments with considerable burdens (scenario analysis, modelling etc). The Banks would have to subject Piemonte to a formal suitability assessment, per the specific and detailed requirements of the above Delegated Regulation, ending in a written report, provided to their client. They would need to justify why the specific financial instruments were deemed suitable to the client. “…this part of Piemonte’s case depends at least in part on the premise that the Banks stood in the position of fiduciaries and that the Banks were in breach of their fiduciary duty which, on the evidence submitted, I do not accept.”  (emphasis added). As shown, this is no longer true. 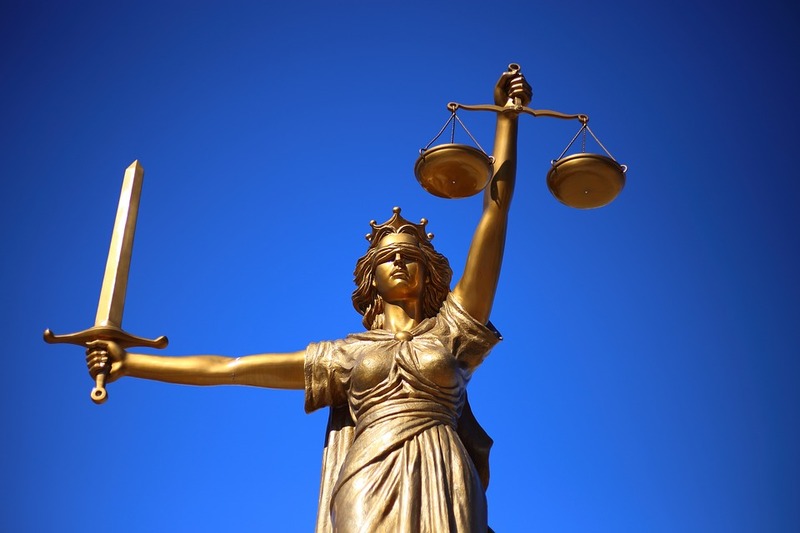 This article does not seek to conduct a mini-trial, rather shine a light on the different legal regime and additional tools available to lawyers. Not discussed, obligations on “manufacturers” and “distributors” of financial instruments. Whether the contracts would, therefore, be automatically voidable is debatable and would need to be explored in a test case. I suspect the degrees of infraction and the behaviour and desire of both parties would be the determining factors. That considerable damages and compensation would be awarded to Piemonte is not. Of course, “MiFID II” is not one legislative act, it is a package of legislation comprising in the region of 100 documents. The EU level I and II legislation must be considered as well as the level III opinions then careful attention must be paid to subtle differences between Member States’ transposition of the directive into national law. Where these differ, the lawyer must analyse whether domestic law is an acceptable interpretation of the directive and, if not, whether the national law can be interpreted in a manner that is harmonious with the directive. If this is not possible, the law should be repealed. The 2008-2018 decade will go down as a decade of fundamental financial reform. Most financial guides have failed to keep apace, or indeed, appreciate the scale of change. Any financial lawyer worth his salt needs to have a thorough understanding of the full ambit of measures in MiFID II. Disclaimer: The views expressed in this article are not intended to make factual representations of either banks involved. They are used solely for illustrative purposes to explore hypothetical outcomes under a different legal regime. For the avoidance of doubt, The Banks were not subject to MiFID II at the time of trial and hence no wrongdoing is alleged or implied. Seb Malik is the Head of Financial Regulation at MarketFinReg.com. He has authored the bestselling MiFID II: A Survival Guide and SFTR: A Survival Guide. He writes on Financial Regulation merging his decade of Investment Banking experience with Legal expertise. Market FinReg is the first and only (as of publication) firm to offer accredited SFTR training. In the main part – certain provisions (such as the CTPs) have a deferred date of application.